Jerome DeWitt is an intriguing gentleman. Hailing as a direct descendent of Napoleon Bonaparte, he is a brilliant mind...always inquisitive, always exploring, always brimming with new ideas. It is no surprise that his watches are also similar in ilk. Today, I feature his Twenty-8, a spectacular watch, certainly, inspired by the art deco buildings of New York...the dial is incredible in its complexity. 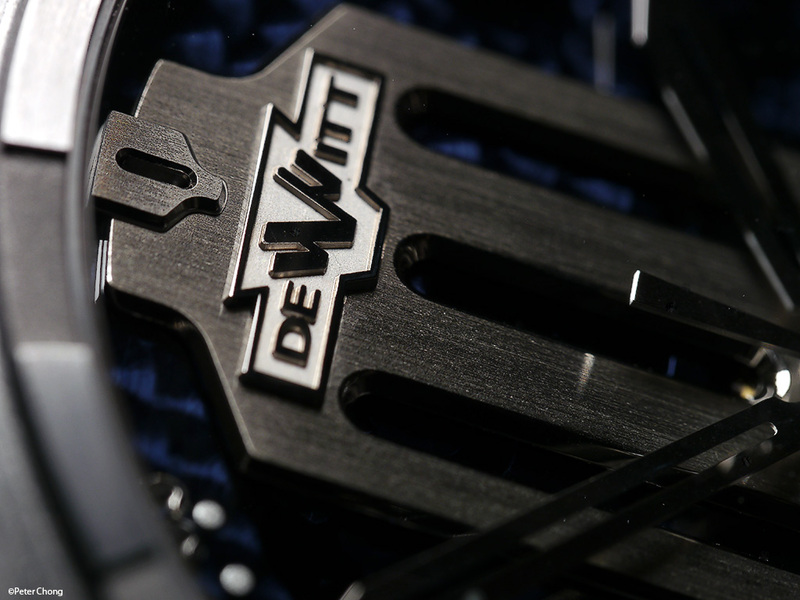 A boon, as DeWitt also owns and operates the dial factory. Ms. Nathalie Veysset, CEO was in town to showcase the watches recently, and I met up with her at a private dinner for selected collectors. Nathalie was an amazing storehouse of knowledge and information...surprising as she has only been with DeWitt for 3 years, and was a private banker before. She patiently explained to us the complicated dials...how each layer upon layer was made...and even brought the parts to show us how the dials are assembled. In these day and age, where one or two dial manufacturers who supply the entire industry, it is interesting to see a small manufacture who own their own dial production...indeed the reason was that DeWitt's dials are so complex, detailed and specific to Jerome's requirements, the only way to have them is to make the dials himself...which is what he did. Bravo! 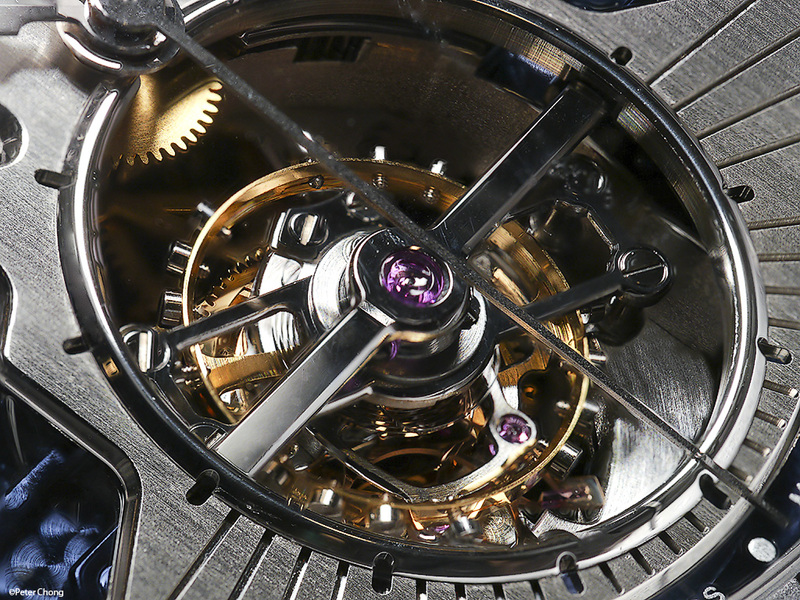 The Twenty-8 features a tourbillon, and the characteristic strong cogwheel like case sides, which immediately identify the watch as a DeWitt. A look at the movement...interesting movement layout. 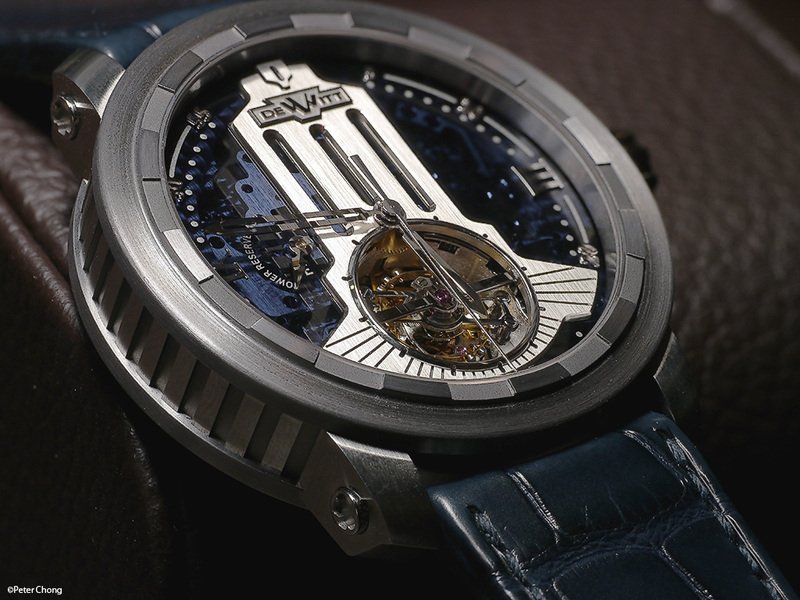 The entire watch has an architectural feel...like its a building...monumental. The rotor is a peripherical oscillating rotor, allowing full view of the movement. 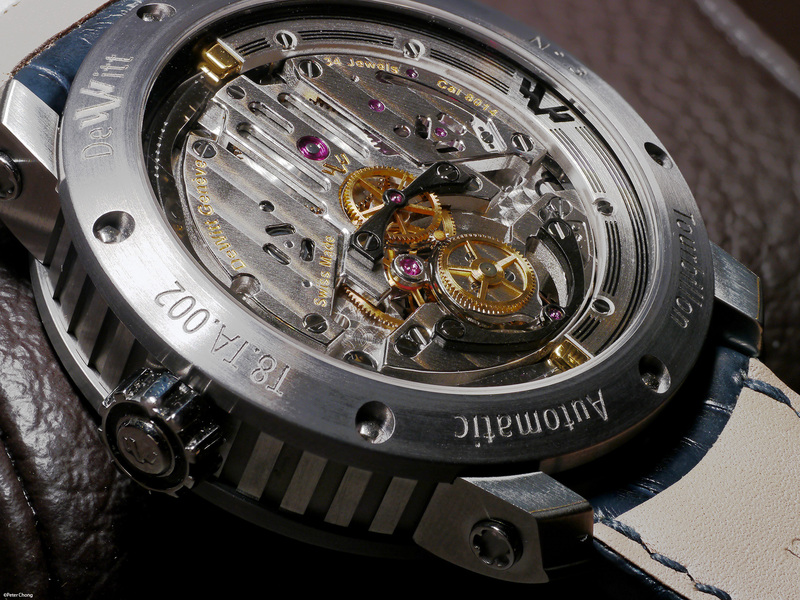 The movement features a dead beat central seconds hand.